I love my kitchen aid, it's great! I've never seen the silver color, this would be perfect in a black kitchen! 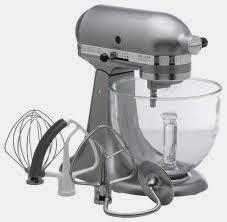 I so would love a mixer like that. It's so fancy!